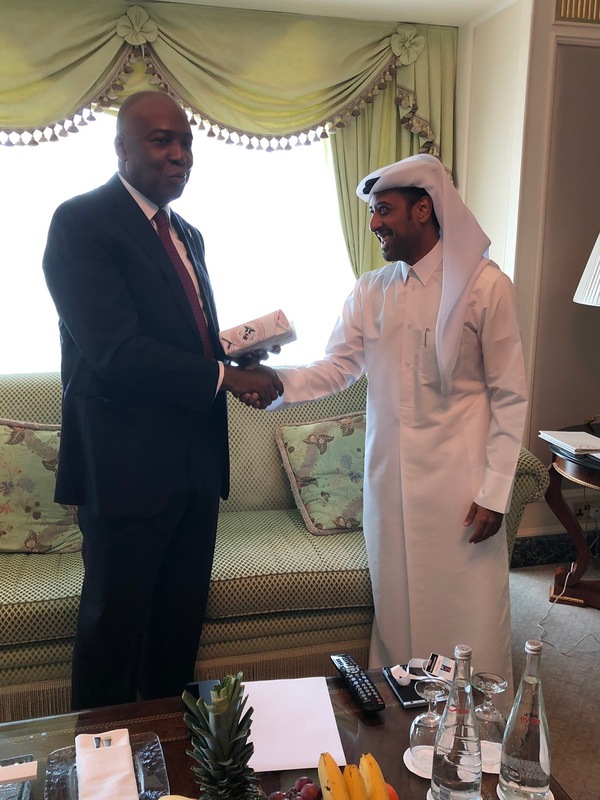 The President of Senate who is currently in Qatar, senator Bukola Saraki meets Nasser Alsaadi a Qatari with the twitter handle @Nass that has often been mistaken as the official twitter handle of National Assembly @Nassnigeria. 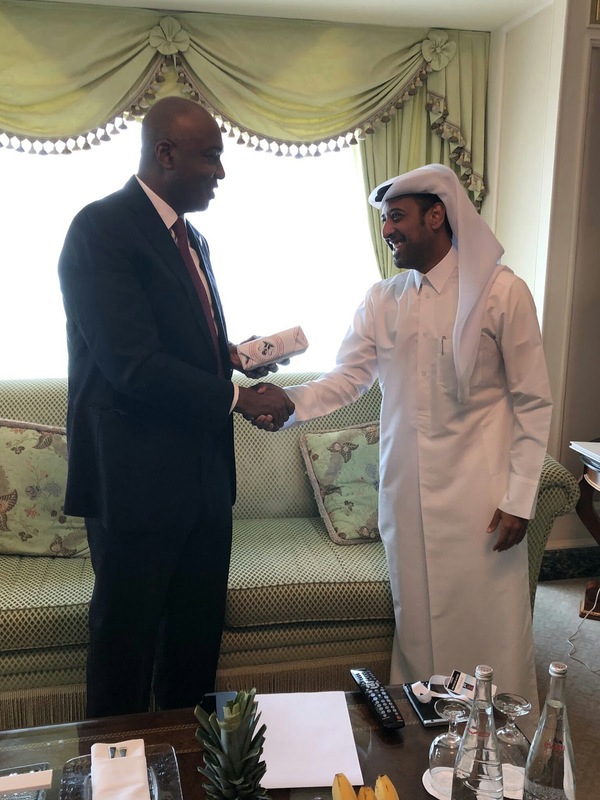 Mr Nasser has often been the victim of abuse by Nigerians who often go to his twitter handle to air their frustration against the national assembly. He has on several occasions come out to correct the impression that his handle was always mistaken by angry Nigerians. @Nass is well known In Nigerian twitter space. Over the last four years, he has been mistaken for @NassNigeria the official twitter page of National Assembly which gained notoriety under the leadership of Bukola Saraki on assumption of office as Senate President as senate president. Nasser's twitter handle with over 40 thousand followers according to him over 80% of which are Nigerians. 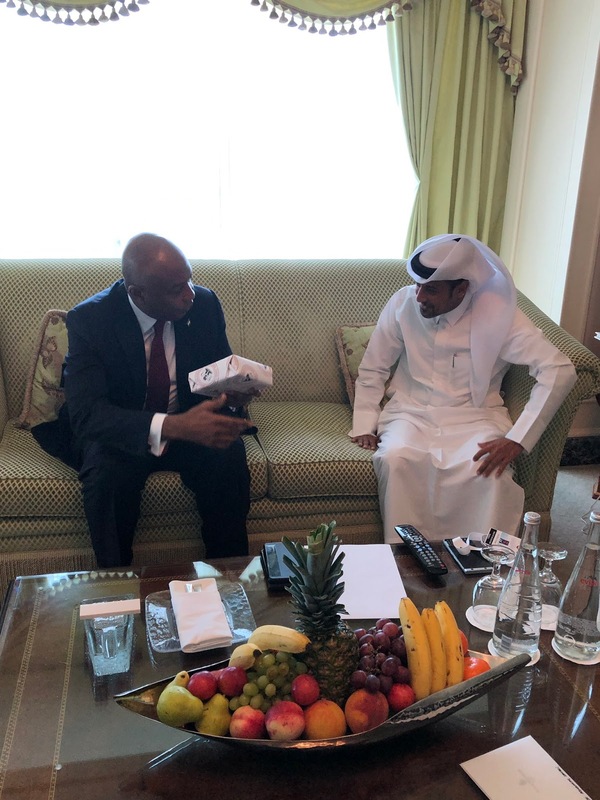 The mistaken identity to be the official handle of the National Assembly has made him conversant with activities of National Assembly and Nigeria at large. Mr Nasser Alsaadi is the head of distribution, brand audience & engagement development for AlJazeeraWorld.